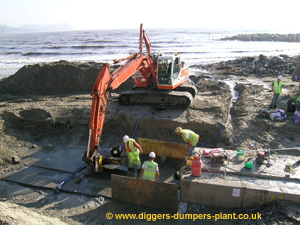 Placing pre-cast concrete sea wall at Lyme Regis October 2005. The contractors were working the tides. 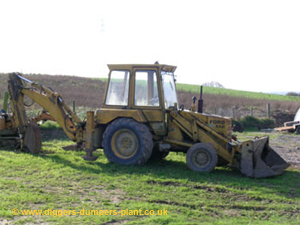 Samsung wheel loader and large Caterpillar 360 degree excavator fitted with a rock grab. 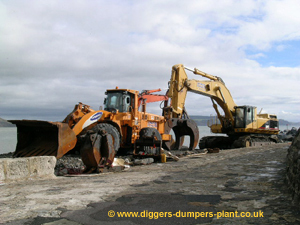 Being used on the sea defences at Lyme Regis, Dorset. 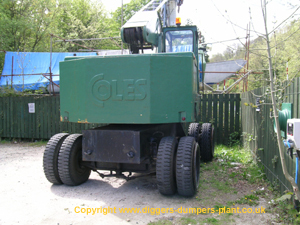 Coles yard crane pictured at Fowey during 2006. It was being used for boat lifting. 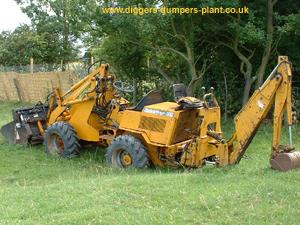 Anyone know what this weird digger is? The name says Stbeffer 330? Its got articulated steering and could be dumper based. Photographed by my nephew Laurence. 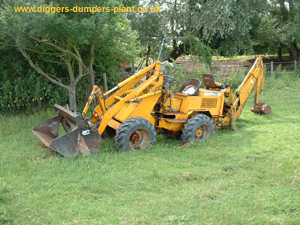 Rear view of the mystery digger. It would be pretty annoying to drive as you would have to keep changing seats. The 4 in 1 bucket and 4 wheel drive must be useful though. 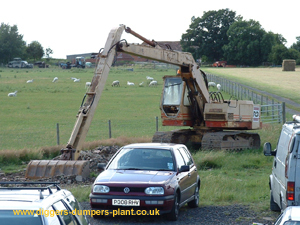 Ford 550 digger with 2 wheel drive and 4 in 1 bucket. 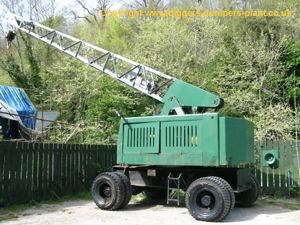 One of the first diggers to have a decent cab with a level floor and good visibility. A big step forward from the Ford 4550. What an insult. Get a nice old crane and then put hanging baskets on it! I think it's a Jones KL15 with Petter engine. Thanks to Laurence for the picture. 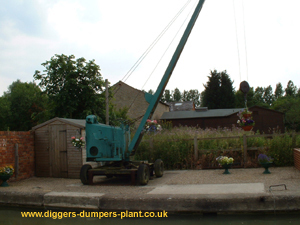 Ruston Bucyrus 220RH rigged for river/canal clearance work. The cab window is missing so you'd get cold feet driving it in the winter. Photo by Laurence. 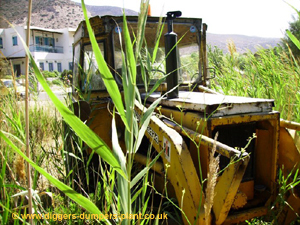 Abandoned air tractor on the Mediterranean island of Sifnos. 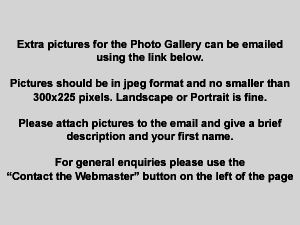 Photo by Bazza. Isn't this crane wonderful? Built by Heath Robinson? 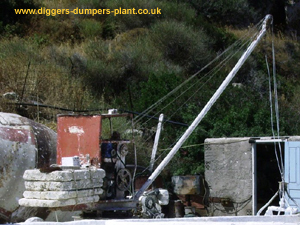 It's for some sort of concrete mixing operation on Sifnos. Complies with all EU Health & Safety regulations honest!